KUBRA to demo new artificial intelligence solution on January 23-25 at DistribuTECH in San Antonio, Texas. KUBRA IQ embodies the next generation of self-service customer solutions, allowing them to connect with more than two billion customers in the channels they use most often. KUBRA, the leading provider of customer experience management solutions, invites attendees of DistribuTECH 2018 to visit the company on the trade show floor (Booth #1225) to receive a product demonstration of the newly released KUBRA IQ artificial intelligence solution. 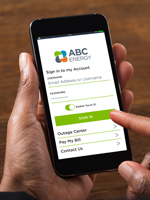 KUBRA IQ takes self-service customer interactions to the next level with solutions that utilize human-like speech to help customers complete a range of tasks from paying a bill to reporting a power outage to understanding how to reduce their energy usage. Natural Language Processing - Allowing customers to use everyday language instead of preset phrases or keywords when interacting in automated voice and text channels. Multi-Channel Use - Meeting customers in the digital channels they use most, such as Facebook Messenger, Amazon Alexa and text messaging. Machine Learning Capabilities - Analyzing text and speech to better understand customer needs and improve interactions over time. KUBRA anticipates an exciting response and meaningful discussions at this year’s conference. Event attendees are encouraged to stop by the Booth #1225, enter to win a Yeti cooler and scan their badge for the KUBRA-sponsored truck giveaway, and look out for the DistribuTECH video interview with KUBRA VP of Utility Solutions Brad Sileo.